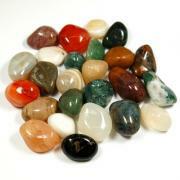 Pendulum Faceted - Rutilated Quartz - "Extra" - 1pc. 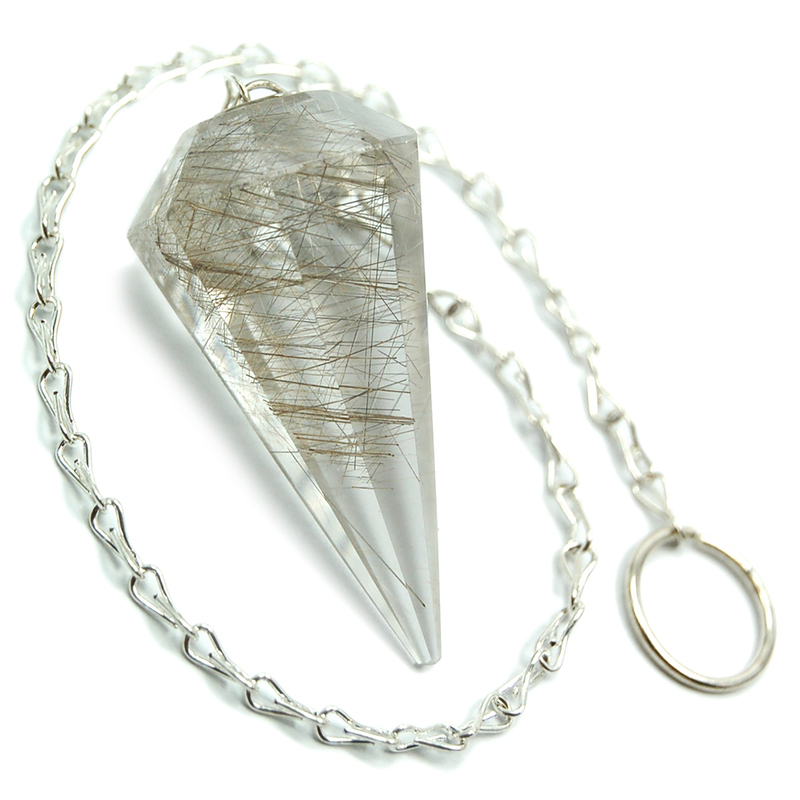 Pendulum Faceted - Rutilated Quartz - "A" - 1pc. Rutilated Quartz Pendulum (Brazil) - These Rutilated Quartz Pendulums from Brazil may have gold or silver rutile. Use your Rutilated Quartz pendulum to assist you in choosing crystals for a healing session, or to guide you in a specific decision that needs to be made. It is fun to gaze into Rutilated Quartz – Clear Quartz riddled with needle-like pieces of golden (or sometimes red or silver) Rutile, a material made of titanium dioxide. Rutilated Quartz can clear energy blockages from all of the chakras, and attune one to their Divine Purpose. Rutilated Quartz puts off an exceptionally high level of energy, and is said to bring physical and mental balance and stability. 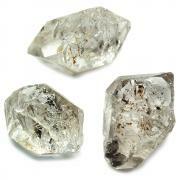 Rutilated Quartz also enhances self-reliance and helps with decision-making. 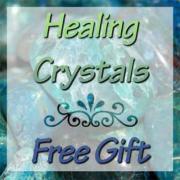 Use Rutilated Quartz as a link between the Root and Crown Chakras, or to get to the “root” of a problem. Rutilated Quartz is an uplifting stone, infusing joy into one's life and surrounding environment. Rutilated Quartz is often used during meditation, for connecting to the Divine. Working with Rutilated Quartz can help one to connect to higher realms and spirit guides, due to the inclusions of Rutile in the Quartz, which acts as a kind of psychic antenna. Rutilated Quartz is also said to help bring one into an expanded state of consciousness. People who are working to enhance their psychic abilities are aided by Rutilated Quartz, as well as those who desire greater concentration and clarity.